Do you want to support the victims of the Tohoku earthquake and tsunami, and at the same time know exactly where the money goes? 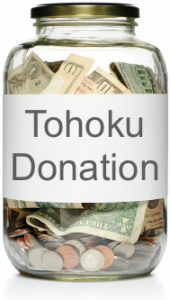 The Tohoku Donation page was created to do just that, support the victims of the earthquake/tsunami but also enable donators to track where the money goes. Proudly powered by WordPress Theme: nippon-ni.net grunge.